With Easter less than two weeks away, drugstores around the country are hard-selling Cadbury Creme Eggs, but they're a divisive candy. Some chocolate lovers find them disgustingly sweet and impossibly messy, while others can’t imagine spring without them and even eat them as omelets. Well, they just got even more extreme, thanks to Amy from Oh Bite It, who has fried everything from lattes to Sriracha. The beauty of this fried egg—as with most of her ideas—lies in its simplicity. Just wet the edges of an egg roll wrapper and wrap it tightly around the Cadbury egg. Make sure the seams are sealed tightly (you don’t want oil shooting and ruining the chocolate), fry in 350-degree oil until golden and enjoy. 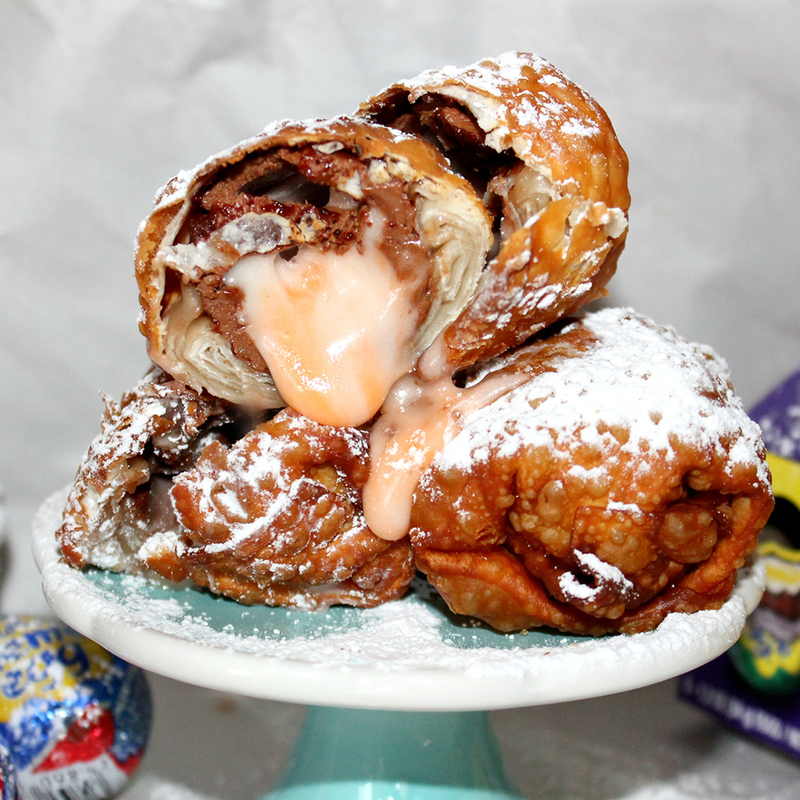 If deep-frying can’t get a Cadbury hater on board, we don’t know what will. You can see an illustrated step-by-step rundown over at OH, Bite It.